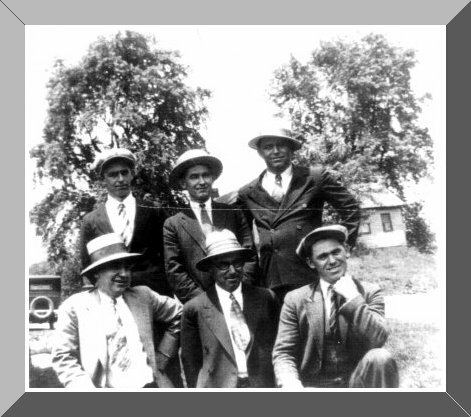 Here's a photo taken about 1920-1925 that includes my grandfather, Oscar Conley, and his brothers. The only brother not present is Luther, who was killed in a motorcycle accident in 1915. In the back row from the left: Dola, Otis, and Everett. Front row: Curt, Ollie and Oscar. This photo was donated by Richard Conley and Doris Conley Boyles.